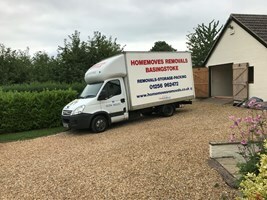 Basingstoke HomeMoves Removals - Removals/Storage based in Basingstoke, Hampshire. Welcome to HomeMoves Removals a professional operated removal company based in Basingstoke Hampshire. We are specialists in local or long distance Home Moves. We offer full or part packing service. Fully trained and uniformed staff to deal with any scenario that can arise on moving day. We will make sure your move goes smooth and stress free. Free no obligation quotations and advice.